What is the purpose of a Planogram? What is the end goal of a Planogram? What makes Planograms truly valuable? A planogram is a diagram, drawing or visual representation that indicates how and where products should be placed on shelves. A planogram is generated based on the performance of a set of items within a particular category of products so as to promote on shelf efficiency in respect of stock cover by assessing product and brand positioning and visual impact. Is there another name for it? Yes, they are often called plan-o-grams, shelf space plans, space plans, schematics or POG’s. A planogram is a visual representation used to plan, communicate, implement and maintain a retailer’s merchandising strategy. It’s a model or diagram that describes placement and positioning of retail products on shelves, as well as the number of facings allocated to each product. Facings are referred to as a row of products. Thus, three rows of items refers to three facings. Usually your best-selling and most-profitable products will receive the largest number of facings. This gives your executive management or head office more control over how products are displayed and implemented in stores and allows you to maintain and review shelf layouts based on the performance and success of the planograms. The end goal of a planogram is to increase your sales and profitability by ensuring that your shelf displays are offering the right selection of products to reach your shoppers at the right place and time. Facing allocations can be updated with seasons, special events and new assortments. Planograms also help your merchandisers to lay out products in a logical shopper-friendly fashion. This is done to improve the overall shopping experience of your customers in your store. When your Category Management Strategy is refined. What is the history of planograms? Retailers first started using planograms due to increasing competition in the marketplace. As the retail environment expanded, category management evolved, and there was a need for retailers to adapt their merchandising strategy to remain relevant in the market and stay ahead of the competition. Due to changing customer expectations, it was vital for the retailer to understand how and why the customer was shopping within their store and how that could be translated into a visual form of merchandising that would be appealing. Retailers also saw a greater need for a shelf planning tool to better measure, monitor and control sales performance, and to provide a clearer understanding of the profits or losses encountered. So retailers started drawing up plans for their shelves to improve the in-store presentation, and to differentiate themselves from their competitors by offering a different assortment to their customers. It also allowed retail groups to create consistency across their stores and improve stock control with a better planning of their shelves. As IT evolved, Planogram Software solutions developed and were able to support planograms, generating further information on sales which could be easily read and understood. Planograms help you to dictate your store layouts and serve as an opportunity for you to make the shopping experience consistent throughout your retail stores. 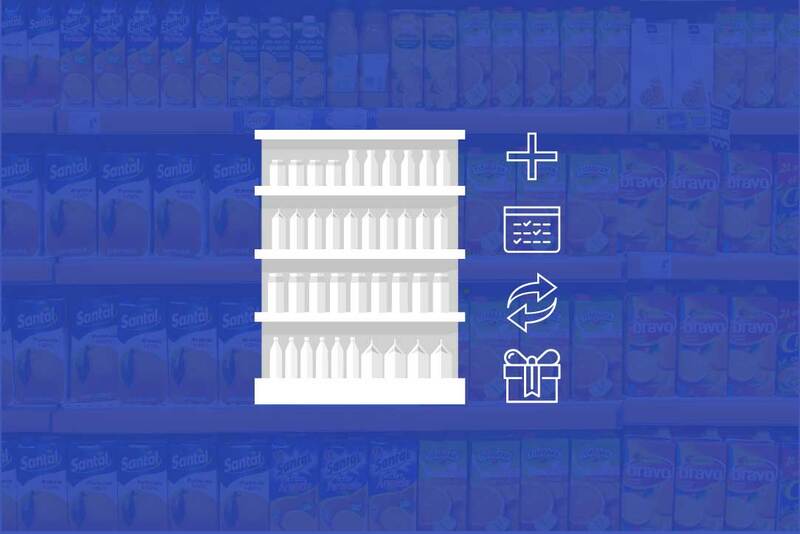 The end goal of a planogram for you as a retailer is to better respond to customer expectations through optimised assortments and logical product flows; increase stock control; improve shelf displays and visual impact; and increase the profitability and financial performance of their stores. As a supplier, you can use planograms to give recommended layouts to retailers, to create consistency for their categories and ensure the right flow of products for their brands according to their own strategy and vision. Suppliers can use planograms backed with data to ensure fair space allocations are being attributed between their own brands and competing brands. Usually, a retailer assigns a brand leader or “Category Captain” for each category to help them determine the flow of the category, what products are complimentary, and what space to allocate to each brand. 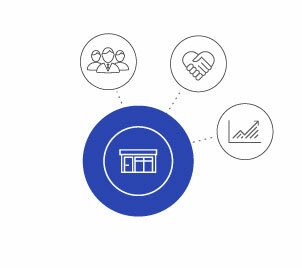 This step involves data sharing between the retailer and category captain. For example, you can buy market data and flush this data into your planograms to spot market opportunities. Taking advantage of opportunity gaps often comes in the form of allocating additional space to a particular brand, new line introductions and ordering additional stock. 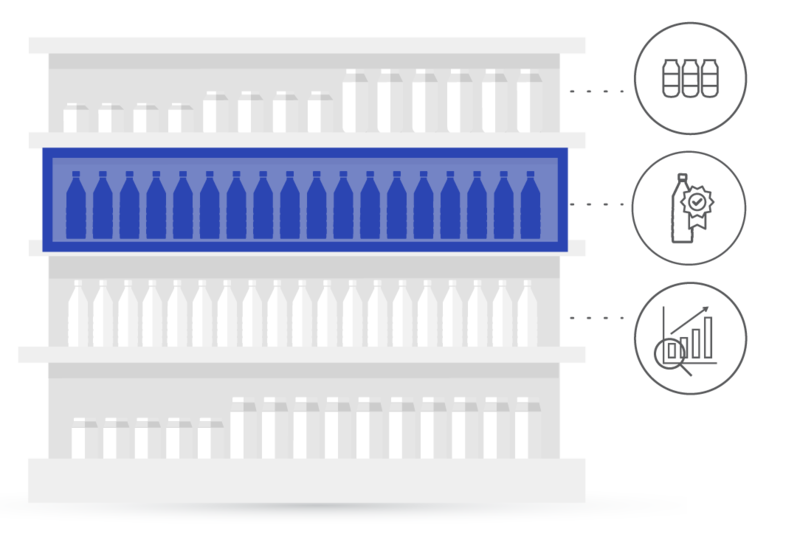 Having the ability to adjust your products dimensions in real time before producing it enables you to achieve optimal product dimensions for the best stock holding ability on the shelf. Planograms help you to determine the right amount of stock to send to a store in accordance with the shelf space allocated to each product. Is your brand growing within the retailer ? If a brand isn’t performing very well, planograms can be used as a solution to showcase new strategies or flows that may help the category grow as a whole. You can improve the shopping experience and financial performance of your stores through proper merchandising. To do this, you can use planograms since they are one of the best ways to plan, communicate, implement and maintain a merchandising strategy. With the use of space planogram software, you can generate a planogram that uses sales history to ensure your merchandising plans reflect your product layouts. More than that, software ensures that your space allocations allow for a pleasant shopping experience for your customers while also help you meet your business goals. Planograms dictate to your floor staff exactly where products should be placed in relation to each other, how many facings they should get, and which shelves they should go on. This removes the human margin for error and gives you more control when implementing your merchandising strategy. 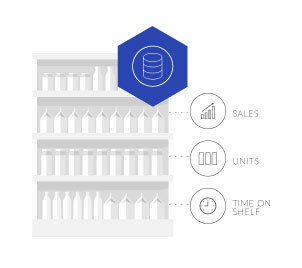 Data-driven planograms help to reduce stock holdings and make it a lot easier and faster for your shelf packers to position products on your shelf. Staff that implement planograms are also more aware of where everything is and are therefore more capable to assist you with questions regarding product options and locations. By analysing sales patterns and the performance of products, a planogrammer can make successful recommendations about the number of facings that should be attributed to each product, enabling you to provide more to the demand of your client. You can follow the trends within a specific market or even branch out into similar or new markets. This continuous re-designing means that space allocations are continually refined for optimised sales, inventory control and consumer satisfaction. [Free Videos] Build data-driven planograms with DotActiv Free, our planogram software, free, forever. To draw a visual representation of the shelf and determine the product space allocation and positioning, planograms require a variety of product information. To create the best possible planogram, a space planner needs to pair everything they know about a product with sales data for the category. This includes monetary sales and the number of units sold over a specific period of time. Sales history also provides information about the product such as whether the product is seasonally purchased or frequently purchased. Internal sales data can be complemented by external market data. An assortment of products that matches the category. Aligning internally around the role of a category can be very useful to understand how a consumer behaves and will affect the positioning of products on a shelf. There are 4 major consumer-based category roles : destination category, routine category, seasonal category and convenience category. Product classifications, product images, dimensions, brand description, product status, display structure, barcode. Fixture type (shelves, hanging bars, hanging pegs, baskets) and fixture dimensions (floor to shelf height, shelf height, width and depth). Brand, Size, Colour, Function, Price. These attributes will provide understanding of the consumer decision tree and shopping behaviour towards a particular category and help dictate the category strategy. For example arranging products based on function and price. Product knowledge and understanding of the role of a product in a category will allow a retailer to create logical product flows (merchandising mix) that align with consumer behaviour and expectations. Knowledge of products that complement each other is useful to encourage shoppers to leave the store with a fuller basket. It’s also convenient and logical for consumers who might be looking for items that complement their original purchase. To improve the financial performance of the store. The amount of space or facings a product is allocated will have a significant impact on its sales. It is thus imperative for products that are both popular and profitable to be positioned with enough space allocation. If the assortment is correct, then the shelf space allocated will return the highest profit (fast moving products will be identified and allocated more shelf space). Your customers make several decisions while they’re shopping, and an effective planogram can influence several of those decisions. Consumer Decision Trees are a tool for planogramming that map out their thought process when deciding what to purchase. Developing planograms based on product performance and consumer decision trees in mind will help you to build layouts that are optimised and drive a positive shopping behaviour. Effective planograms ensure consistency of the days of supply for the products on a shelf. 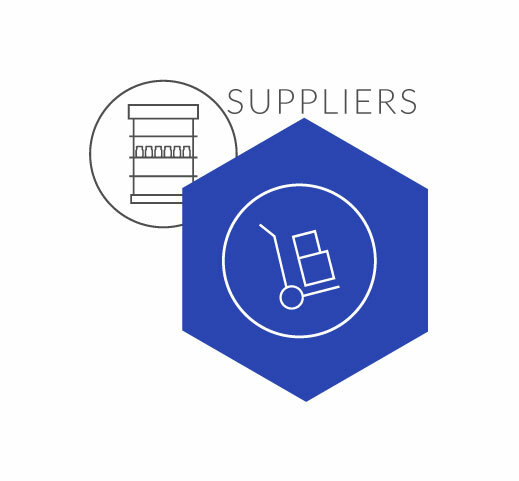 This makes the shelf replenishment cycle much easier, resulting in decreased stock holding, reduced out of stocks, optimised stock rotation and increased inventory control. For example, by using a product minimum display quantity, you can minimise the problem of running out of stock while also know when to place new orders. Implementing planograms that are data-driven also helps to locate products that are selling well by comparing how much space each product is getting versus how well they’re selling. By doing so, a planogrammer can attribute more facings to products that are performing well, which improves stock replenishment. Generating planograms that display products on shelf in a visually appealing, logical and convenient way will attract and retain more shoppers. Using brand blocking, colour blocking and vertical merchandising. By taking into account the number of days it takes for a particular product to sell out, you can balance the space on the shelf to the sales of each product. If the product takes longer to run out, give it less space and allocate that space to a product that sells out faster. In this way, you can increase your sales and profits. WHAT MAKES A PLANOGRAM TRULY VALUABLE? Data is the most valuable element for a planogram as it houses all the information you require to fill the shelves correctly and provide the customers with what they want. 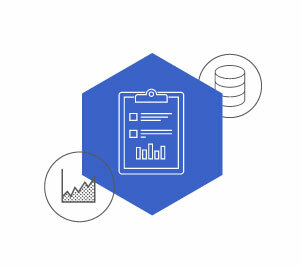 The data present within the four fundamental data fields namely Market, Product, Period and Fact will help assist you in analysing and understanding which products are growing, which are stable, and which need to be repositioned or replaced. In essence, as much information as possible will help you to better understand and reach their target shoppers. Essential planogram data includes: a proper range based on shopper behaviour, sales data for every SKU and LSM groupings, and stock control data metrics such as stock movement, days of supply and out of stocks. 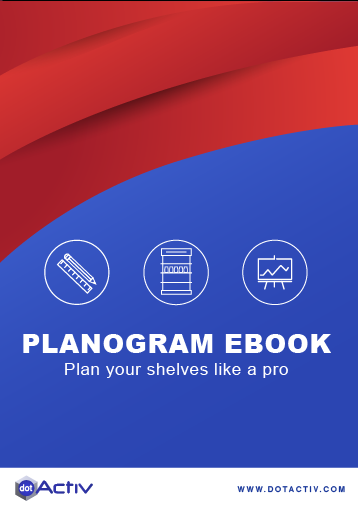 A planogram is a useful management tool to make the shelf replenishment process easier and for you to communicate shelf layouts to your floor staff efficiently. Practical advantages of planograms include: number of facings allocated to each SKU and product placement; attributing the right amount of space to each product according to sales; the capacity to visualise and represent what each product category should look like; and the visual presentation of live images and schematic reports. Combined with accurate sales data, a planogram is a valuable tool for reporting. Advantages of a planogram for reporting include: the ability to measure success to refine the planogram; locate opportunity gaps; report on category performance in store i.e. hot/cold products, top/bottom performers, slow movers; data analysis i.e. individual SKU/product analysis, contribution, forward share, days of supply, out of stocks. 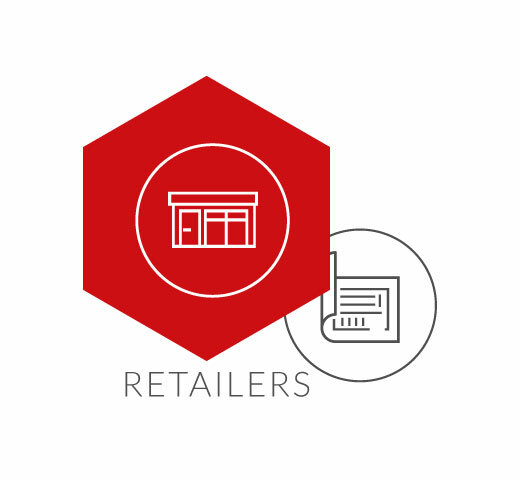 However important data may be, it only becomes relevant when combined with the necessary understanding and support from you, the retailer, as well as your buyers and any decision makers to make strategic decisions to help the category grow. 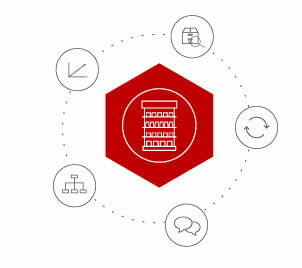 Elements of a strong merchandising strategy include adopting a good understanding of the target shoppers and their expectations; alignment around the category roles to improve the shopping experience and maximise the total basket profitability; retailer and supplier collaboration; a store and category clustering strategy; and a methodology for Category Management. Better space allocation and, therefore, immediate increase in sales. Aesthetically pleasing displays that attract shoppers’ attention. Maximises selling potential for every inch of shelf space. Customers enjoy logical product flows that improves shop-ability for consumers. Reduced inventory holding and reduced of out-of-stocks. Better grasp of product and category performance. Improved awareness of space value and space return. Significant increase in sales and stock rotation. Improved store consistency and shopper satisfaction. Product replenishment will be simplified and optimised. Want to learn more about Planograms?